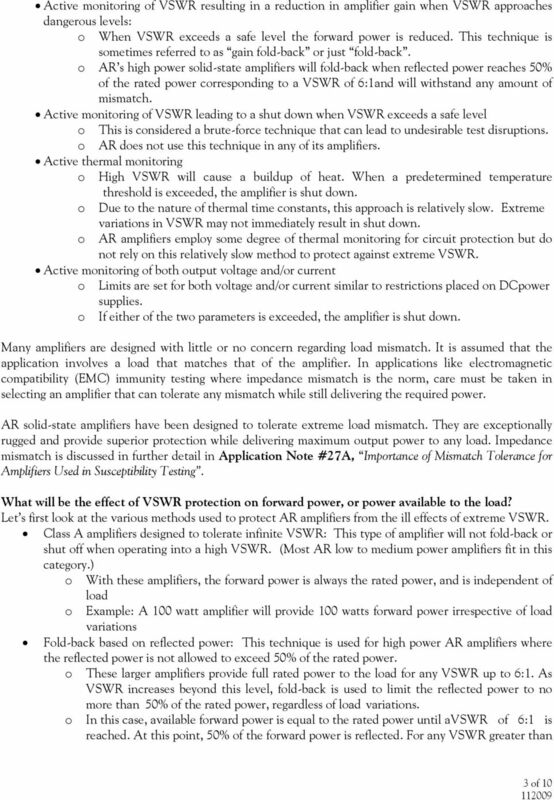 Download "Application Note #49 RF Amplifier Output Voltage, Current, Power, and Impedance Relationship"
ARTICLE DEALING WITH AC MAINS D.MOHAN KUMAR One of the major problem that is to be solved in an electronic circuit design is the production of low voltage DC power supply from AC mains to power the circuit. 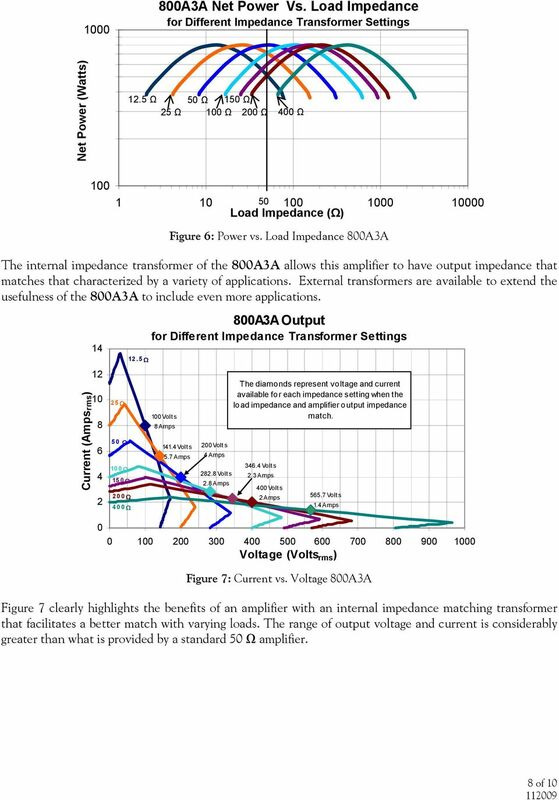 APPLICATION NOTE TESTING PV MICRO INVERTERS USING A FOUR QUADRANT CAPABLE PROGRAMMABLE AC POWER SOURCE FOR GRID SIMULATION. Abstract. 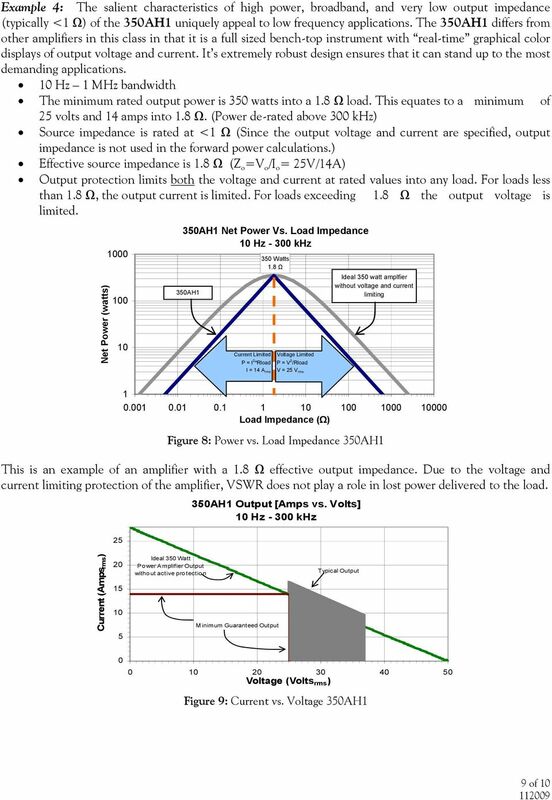 NEP Noise Equivalent Power Verena Mackowiak (GmbH), Jens Peupelmann (GmbH), Yi Ma (USA), and Anthony Gorges (USA) Thorlabs, Inc., 56 Sparta Avenue, Newton, NJ 07860, USA Thorlabs GmbH, Hans-Bockler-Str. Experiment 7: Familiarization with the Network Analyzer Measurements to characterize networks at high frequencies (RF and microwave frequencies) are usually done in terms of scattering parameters (S parameters). 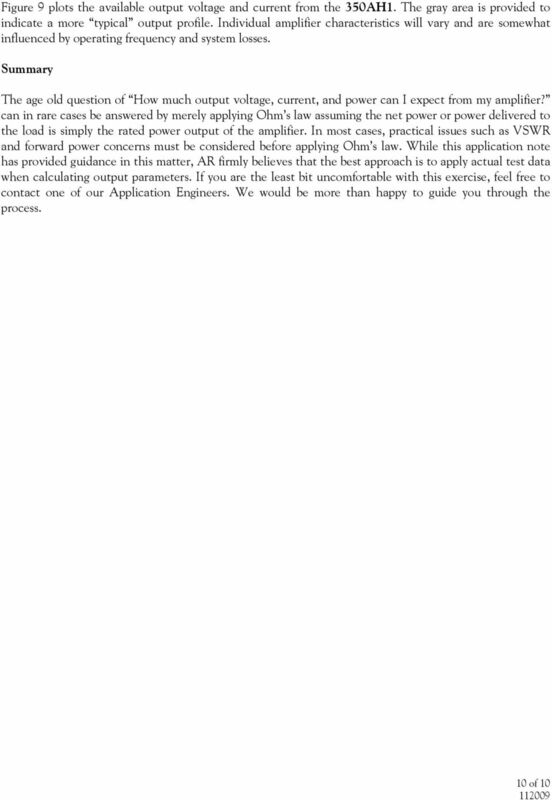 Technical Datasheet. GT-1000A Microwave Power Amplifier 2 GHz to 20 GHz. 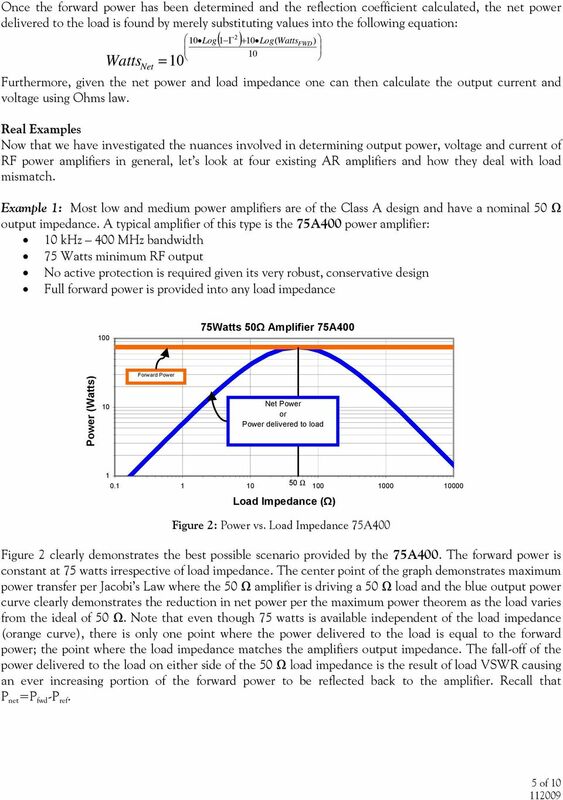 Broadband High-Power Instrumentation Amplifier. 34682 Rev. 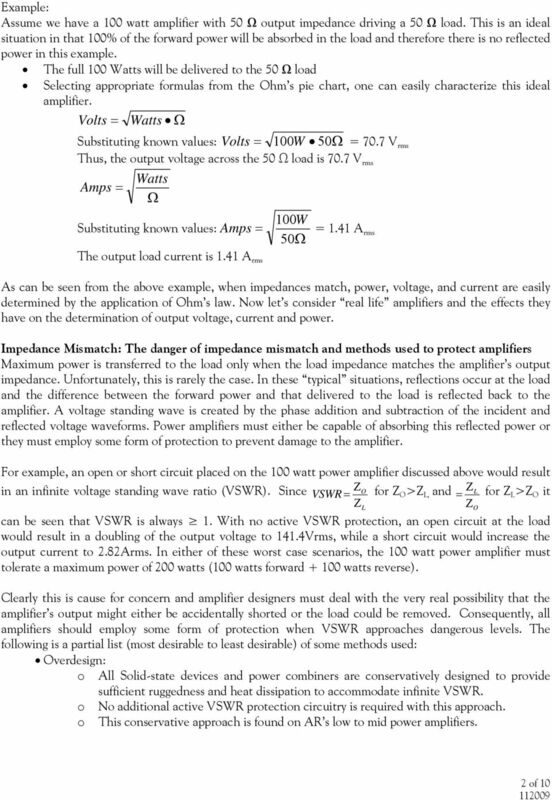 3_given a graph of current_voltage for a resistor, determine the resistance. Three resistance R1 = 1.0 kω, R2 = 1.5 kω, R3 = 2. Welcome to this presentation on Driving LEDs Resistors and Linear Drivers, part of OSRAM Opto Semiconductors LED Fundamentals series. What will we learn in this chapter? Understanding. Technology Brief: Designing for Great Performances. 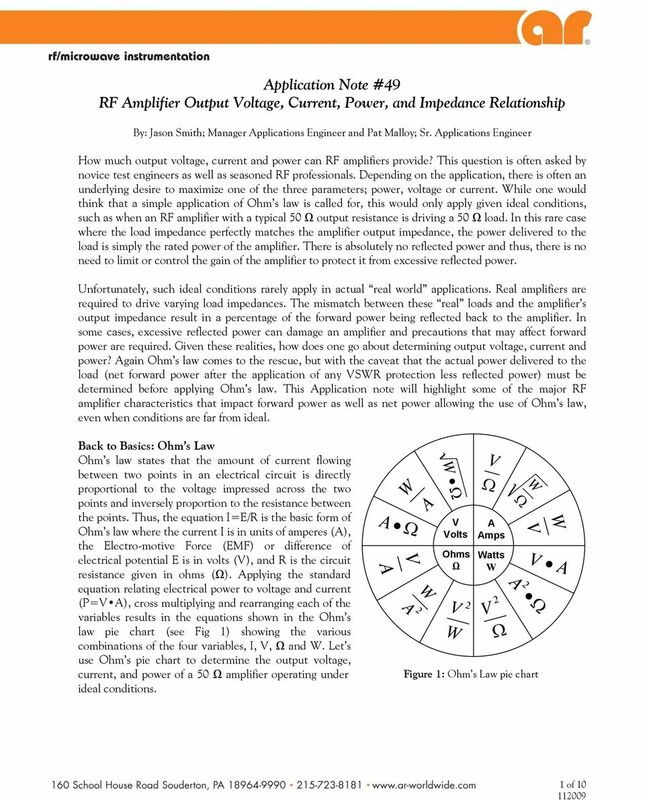 Relationships between Voltage Current Impedance. Foreword. Figure 2. Chapter 3 Simulation of Non-Ideal Components in LTSpice 27 CHAPTER 3. SIMULATION OF NON-IDEAL COMPONENTS IN LTSPICE 3.1 Pre-Lab The answers to the following questions are due at the beginning of the lab. 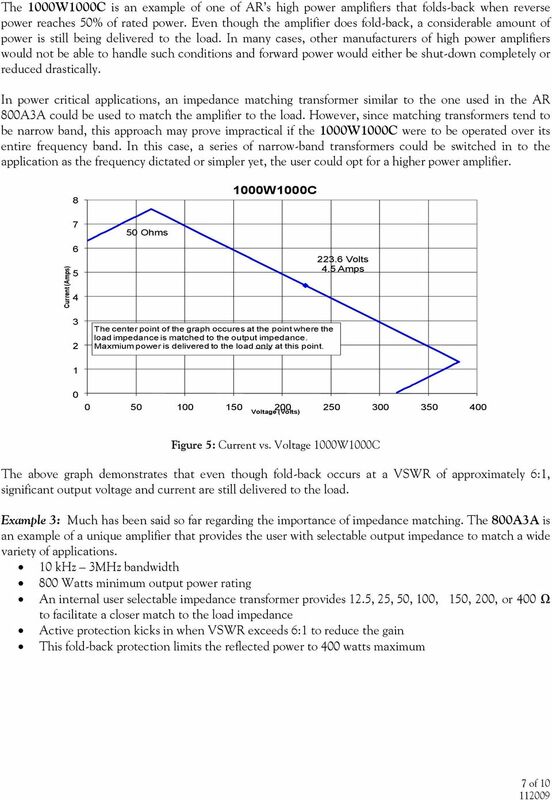 Diode Applications. by Kenneth A. Kuhn Sept. 1, 2008. 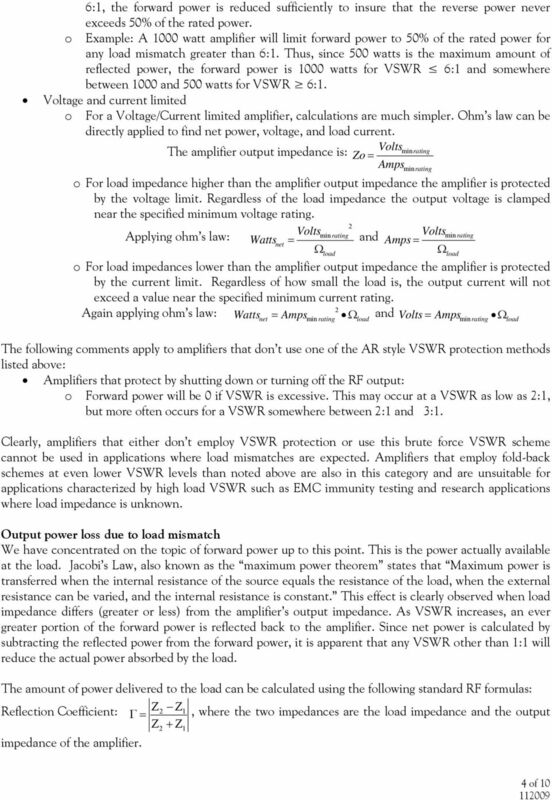 This note illustrates some common applications of diodes. 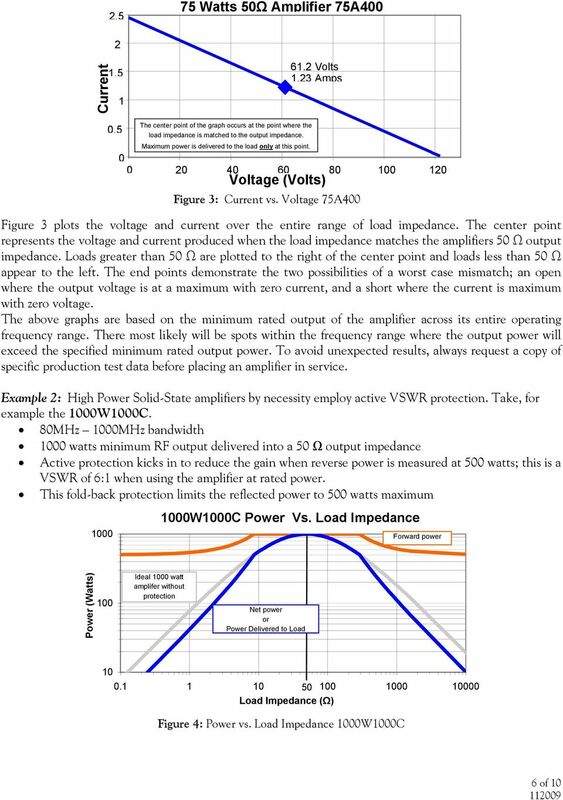 Figure 1 - Crydom 3RHP Three-phase Hybrid Solid State Contactor. Crydom Inc.
where m is the mass of the water, c is the specific heat of water (1 cal/g C), and T is the change in temperature of the water. The approach used here is to shift down the antenna signal frequency. Using this approach we do not modify too deeply the radio. UNIVERSITY of PENNSYLVANIA DEPARTMENT of ELECTRICAL and SYSTEMS ENGINEERING ESE206 - Electrical Circuits and Systems II Laboratory.